In the picture, Scientist Kris Helgen holds an EASTERN LONG-BEAKED ECHIDNA in Indonesia's Foja Mountains. The elusive egg-laying species is one of the rarest and most genetically unique mammals on the planet, according to the Zoological Society of London's 2010 EDGE (Evolutionarily Distinct, Globally Endangered) list, released November 19. The GREATER SHORT-TAILED BAT (shown in an illustration) is likely totally gone from its native islands off New Zealand. The ground-dwelling bat is defenseless against voracious, introduced rats and has not been seen since 1967. China's baiji, or Yangtze River dolphin, may already be extinct—just 13 were found during a population survey between 1997 and 1999. Baiji are often caught in nets, struck by boats, or killed by pollution in the industry-choked Yangtze. Authorities have placed restrictions on fishing and dumping in the river, according to ZSL, but those restrictions are widely ignored. 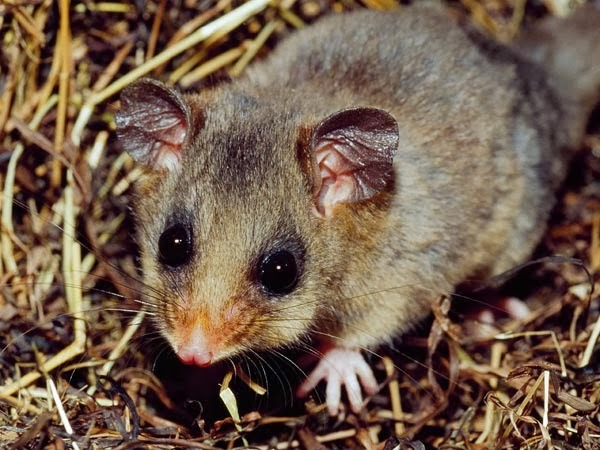 Ski resorts in southeastern Australia have caused the decline of the mountain pygmy possum, according to EDGE experts.That's because grooming snow on ski slopes can disturb the snow-hibernating creatures or destroy their habitat. 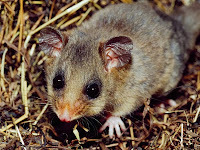 Thought to be extinct until one was found inside a ski chalet in 1966, the possum's range is now confined to just a few square kilometers. This may look like a rodent of unusual size, but the rare Hispaniolan solenodon (pictured in 2009) isn't a rodent at all. More closely related to shrews and moles, the solenodons are the only mammals that inject prey with venom, through special grooves in their teeth. There are only two species: the Hispaniolan solenodon—native to the island of Hispaniola, shared by Haiti and the Dominican Republic—and the Cuban solenodon, which was rediscovered in 2003. The riverine rabbit (pictured in a file photo) is unlike most of its kin in one crucial way: It doesn't breed like a rabbit. While many rabbit species can raise up to 12 babies per litter and bear multiple litters in a season, the riverine rabbit usually raises one kit at a time—and it lives for just three or four years in the wild. Furthermore, the animal is very dependent on the thick vegetation and soft soil found only along riverbanks in South Africa's Karoo Desert. The fast decline of Southeast Asia's Sumatran rhinoceros (pictured, a mother and her calf at the Cincinnati Zoo) and the black rhinoceroses of central and southern Africa have landed the species near the top of the EGDE list. All rhinoceros species are considered to be threatened or vulnerable by IUCN due mostly to poaching, which has doubled in the past year. Compounding the issue, rhinoceroses prefer different breeding environments than many mammals. A northern hairy-nosed wombat peers out of a trap in Queensland, Australia, in a file picture. Only three known species of wombat exist, making the family one of the most evolutionarily unique. Unlike koalas or kangaroos, the burrowing marsupials carry their young in pouches that face backward, which keeps dirt out. (See a picture of a common wombat. )Predators introduced to Australia, such as the dingo, have nearly wiped out Earth's biggest wombat species. Today, only one colony of fewer than a hundred individuals remains—protected by a dingo-proof fence. The Bactrian camel (pictured, a herd in the Gobi) is distinguished from the more familiar Arabian (dromedary) camel by its two humps. The species has lost out in a competition for food and water with livestock, including its own domesticated brethren. The wild Bactrian also has unique adaptations to its extreme climate: Its coat goes from incredibly thick in winter to almost hairless in summer, and the animal has squishy foot pads—like "bags filled with slime"—that act like snowshoes, to keep it from sinking into the desert sand. Considered "more primitive" than Africa's white or black rhinoceroses, the Javan rhino (shown in a file photo) is the rarest of all living rhinoceros species. Though the approximately 50 remaining Javan rhinoceroses live inside protected national parks in Vietnam and Java, Indonesia, the risk of poaching for their horns remains.